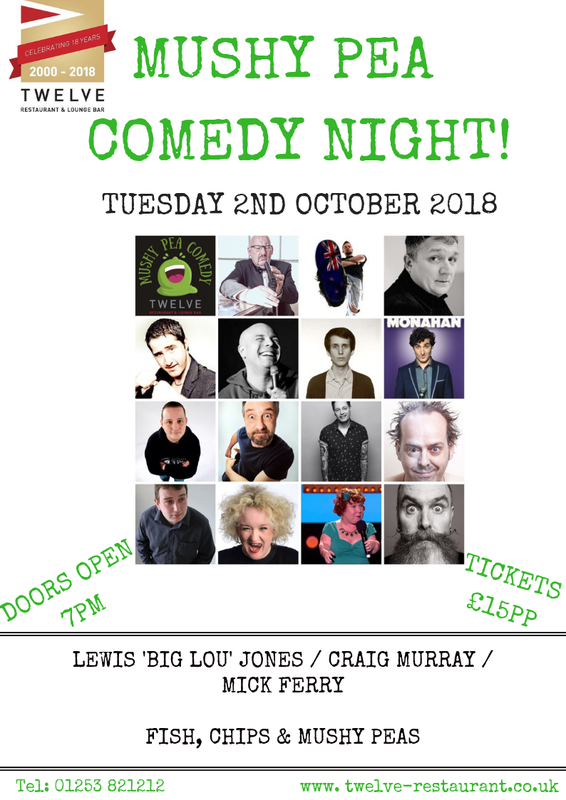 November Mushy Pea Comedy Night! What a treat we have in store this March! Renowned acts on the comedy circuit; Caimh McDonnell and Daliso Chaponda are making their debut performances at Twelve Restaurant. 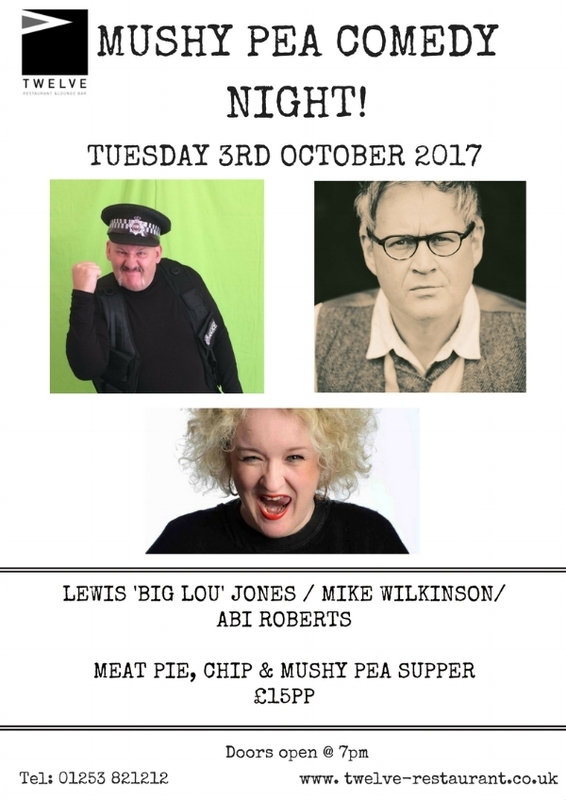 Don't miss out on a night of great comedic entertainment and a meat pie & mushy pea supper. 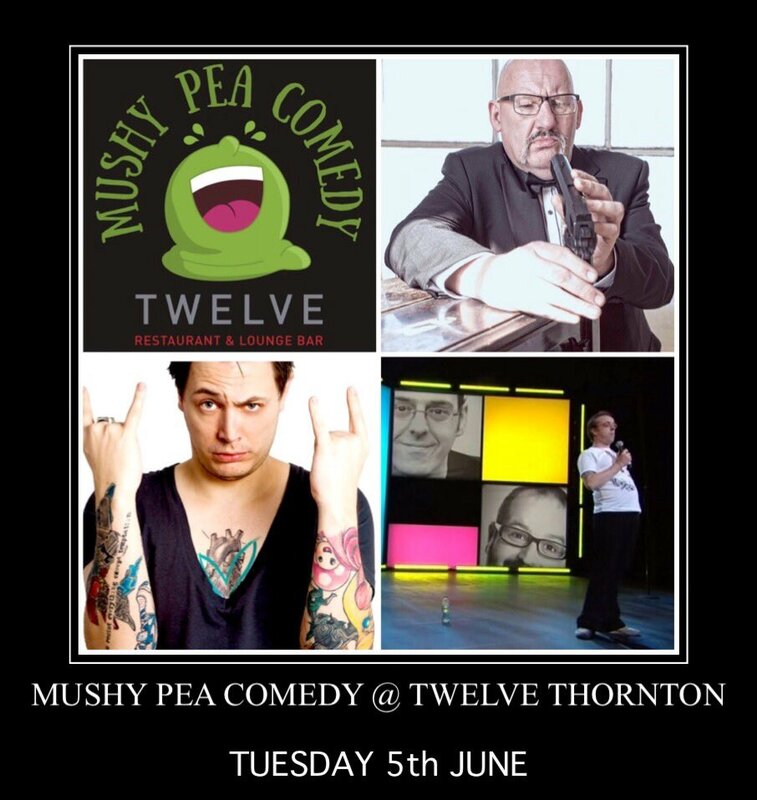 Our last Mushy Pea Comedy Night before Christmas is set up to be a good one! We have some big comedy gold names who will be taking to the stage, and 'Big Lou' will be back for his second appearance. Ticket price is £18pp including comedic entertainment and a lamb hot pot & minted mushy pea supper. Be ahead of the game and book your place now!